CDs only accounted for about one-tenth of one percent of total sales at the big box -- some $40 million in 2017 -- compared to the 45 percent of its total revenue from computers and mobile phone sales and 30 percent from consumer electronic sales. 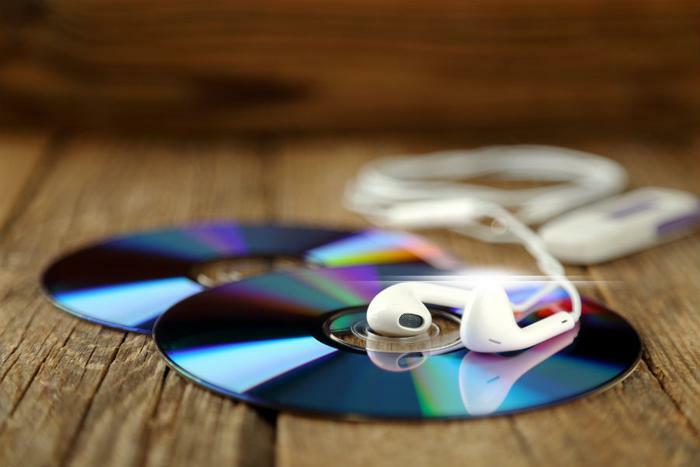 In the 17 years since sales of music CDs peaked at 800 million, shifts like peer-to-peer music sharing and paid streaming services such as Spotify, Apple Music, and Amazon Music have slowly zapped the format’s strength and made it an easy touch for the “dinosaur” tag. But the fact that record labels only moved 89 million units in 2017 and consumers have moved their listening online leaves little room for second opinions. Even the RIAA (The Recording Industry Association of America -- the Grammy people) now sees its bread being buttered on the digital side. According to their latest industry report, revenues from streaming music services accounted for 62 percent of the total market. Total revenues from streaming platforms were up 48 percent to $2.5 billion. With some 36 million users already in Apple Music’s corner, Fortune predicts that, based on Apple Music’s five percent monthly growth rate, they could knock Spotify out of first place for U.S. subscribers later this year. If Apple gets its wish, their new Home Pod could keep those numbers pointed north. However, Spotify’s global dominance may take more time for Apple to conquer give that Spotify has nearly twice as many worldwide paid subscribers as Apple. So where will you get your CDs now? Consumers looking to buy CDs will still be able to find them at Wal-Mart, Amazon, Target, and the occasional remaining record store. Betting on Target might not be the best of moves, though, because it issued a demand to music distributors that it wants a risk-free consignment deal. At present, Target rolls the dice by paying for any CDs it’s shipped, but it has to pay to send unsold CDs back for credit. According to Billboard, music manufacturers are undecided on what course they’ll take. If they decide to take their CDs and go home, the once darling music format might be phased out sooner rather than later.